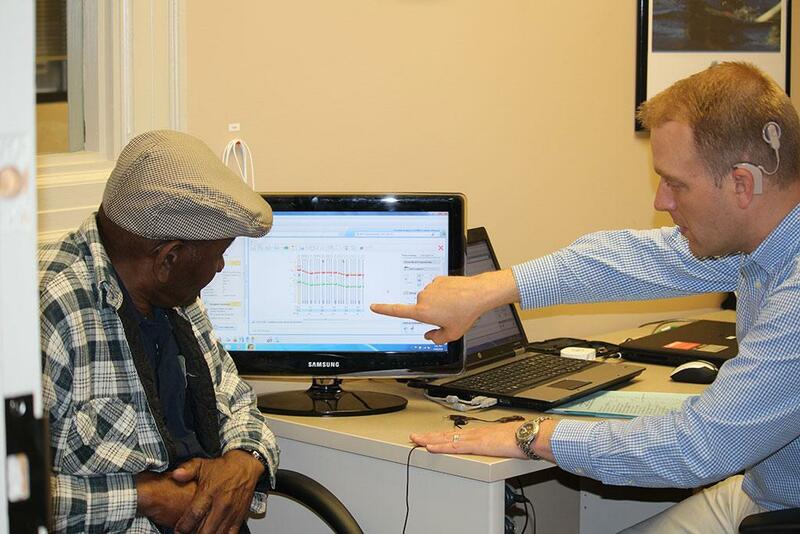 The USC Speech and Hearing Research Center, housed in the Arnold School of Public Health’s Department of Communication Sciences and Disorders (COMD), works with patients across the lifespan to enhance their communication abilities. For more than 45 years, the Center has served clients in the areas of articulation, fluency, voice, language and literacy, hearing and many others. The clinical scientists and students who run the Center log approximately 6,000 patient visits and 225 patient outreach hours every year. 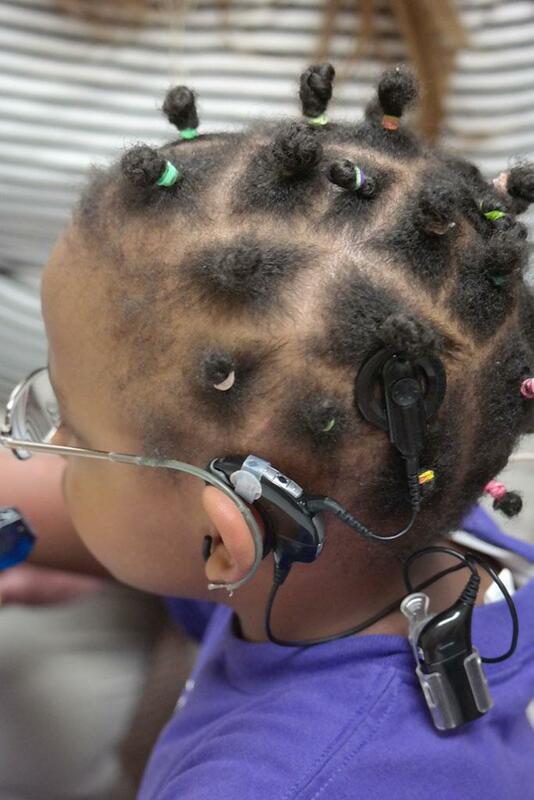 One of the services that sets the Center apart is its cochlear implant program, which is the only one of its kind in the Midlands and the one of only two joint cochlear implant/auditory-verbal programs in the state. 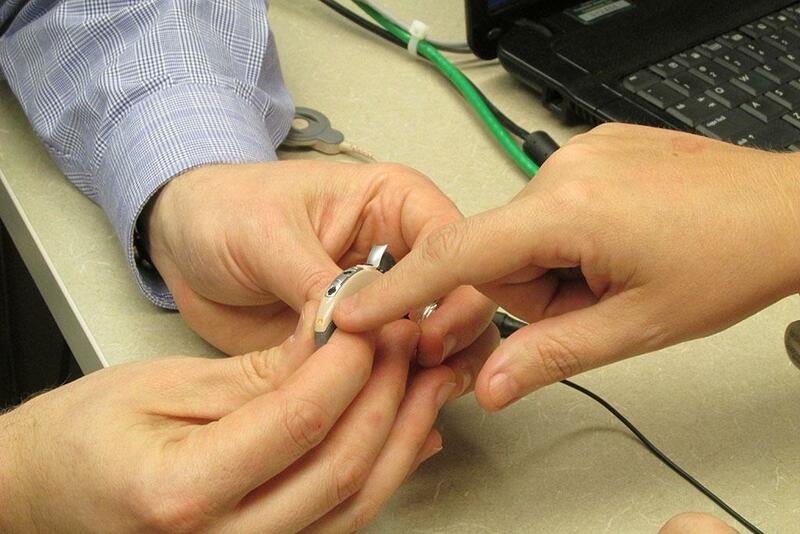 More than 28 million Americans are deaf or severely hard-of-hearing, and cochlear implants provide a much-needed option for enhancing spoken communication for patients. The implant, which is a small, complex electronic device, is surgically implanted and helps the ear pick up, process, transmit, and amplify sound by bypassing the damaged portions of the ear to stimulate the auditory nerve directly. Cochlear implants do not restore hearing, but they can provide wearers with sound representations from the environment that can help them understand speech. Outcomes for patients include enhanced communication abilities, increased independence, and functioning in the hearing world. Since 1999, the team has performed more than 500 implants and provided services to patients from just after birth to those who are in their 90s. Adults with progressive hearing loss can benefit from cochlear implantation as well. One recent patient received a cochlear implant in her mid-seventies. Prior to receiving the implant, she struggled to understand speech in day-to-day conversation. Most uniquely, we work closely with one another as well as the cochlear implant recipient’s family, educators, and other community professionals as their involvement and support are extremely important to achieving successful outcomes for the patient. Following implantation, most individuals regain much of the loss in confidence when communicating. In addition to their highly specialized team of experts, the location of the Center’s team within the COMD department provides continuous access to the forefront of research in the field. 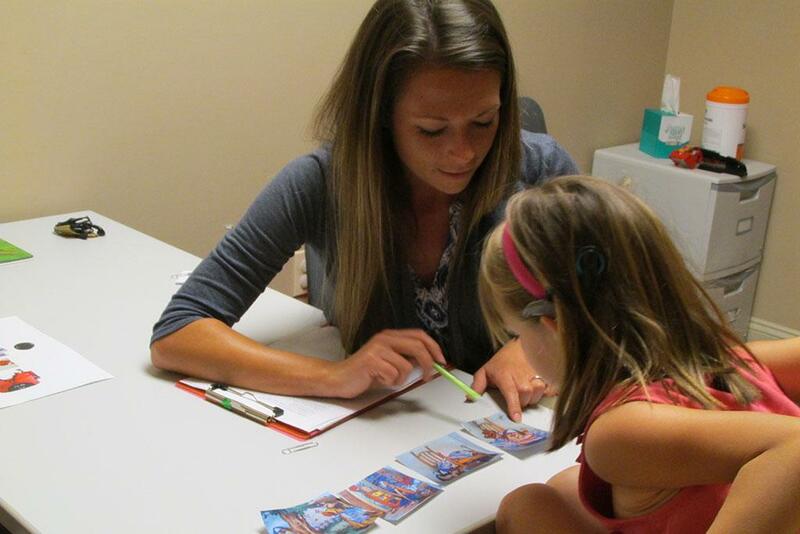 Researchers within the department conduct scientific studies on speech production, speech perception, hearing, language organization in the brain, and language and literacy development and disorders. Scott Thompson, MD is an ENT, neurotologist and owner of Carolina Eye, Ear, Nose and Throat Associates LLC, a private practice in Columbia. He received his medical degree from Drexel University College of Medicine and completed his fellowship in neurotology and cochlear implant technology at the University of Pittsburgh. He has been implanting folks in the Midlands for almost 20 years. Jason P. Wigand, Au.D., CCC-A is an assistant professor, board certified audiologist, and clinical director of the cochlear implant program at the University of South Carolina's Speech & Hearing Research Center. He completed undergraduate work at the University of Kentucky and completed his post-graduate work at Ohio State University. As a researcher, audiologist and late-deafened adult and bilateral cochlear implant recipient, Wigand is passionate about helping and educating both adult and pediatric hearing-impaired and their families. Nicole H. Burrows, Au.D., CCC-A has been employed by the University of South Carolina Speech and Hearing Research Center since 2004 and serves on the cochlear implant team. She earned both her Bachelor of Science and Master of Communication Sciences and Disorders degrees from Auburn University. Burrows received her Doctorate degree in Audiology from the University of Florida in 2003. Before joining USC, she worked as with an ENT private practice. Beth Hulvey, Au.D., CCC-A was drawn to the USC Speech and Hearing Research Center while she was a third-year doctoral student at James Madison University in 2013. After exploring several options to go for her fourth and final clinical fellowship year, she happily accepted an externship at USC. She spent one full year from June 2014-May 2015 at the Center and developed a passion for working with cochlear implant recipients. She also admired USC’s commitment to patients through interdisciplinary teamwork between audiologists, speech language pathologists, and researchers. Hulvey accepted a position with the team in February of 2016. Jamy Claire Archer MS, CCC-SLP, LSLS Cert. AVT received her master’s degree from Purdue University and is a Certified Listening and Spoken Language Specialist and a Clinical Instructor at the University of South Carolina training Speech-Language Pathology students. 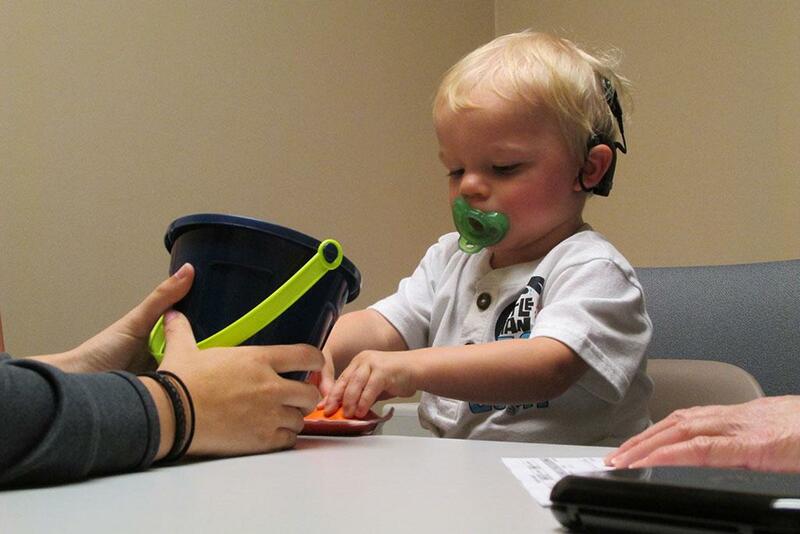 Archer serves on the Cochlear Implant Team and coordinates patient aural rehabilitation. Since 1999, USC's cochlear implant team has performed more than 500 implants and provided services to patients from just after birth to those who are well into their 90s.